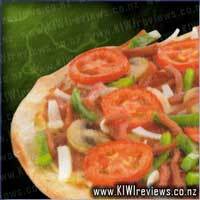 Now of course we&apos;ve added our Proper touch, using New Zealand&apos;s finest Lake Grassmere Marlborough Sea salt. Wholegrain Corn, High Oleic Sunflower Oil, Sea Salt. That&apos;s all! 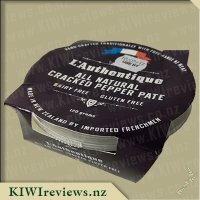 Previously born and resided in Auckland, but now living in Marlborough - I was delighted to see a Marlborough based product - made in Nelson and using salt from our salt mines here. 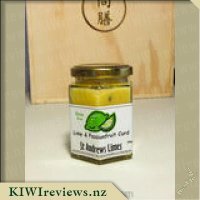 I love supporting local and also having a better snack food for the kids - and something different for me. I have travelled a fair bit and one of the food delicacies I enjoyed was dried, and sort of roasted corn kernel snack in Peru called cancha, and only once since returning have I found anything similar so was eager to try this and see if it might be like that. Looking first at the packaging it has a list of all the good claims - no MSG, GMO free, vegan, dairy free to name just a few. The ingredients list was equally pleasing - wholegrain corn, sunflower oil and salt - simple, fuss free and looking good so far. The packet is 150g, and states this is a 3.7 serving size bag, which initially I thought hmm... that is not much - but these little half popped kernels of delight are actually quite filling! I do have to admit that the sodium and fat content of these had me a little worried - however, the fats are the "better for you" fats, and we need to have some in our diet, as well as sodium. Being that these are a snack and should be in the "sometimes" category, I believe they are good. I showed the children first of all what was in the packet - and they were surprised as they were expecting popcorn, however, I convinced them to try them - knowing kids are honest and brutal when it comes to giving feedback, and tried some myself. 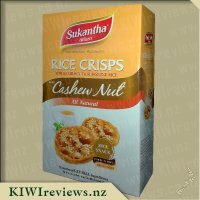 I was very pleasantly delighted at the flavour of these - and the density and crunch, which is quite different - more like crackers, pretzels or less airy snacks. 2 of the 3 kids asked for more, with the one that had just lost 2 teeth commenting that she liked them but were too hard at the moment. She did ask me to please get them again for her to try though! My own feeling about these is that I really enjoyed them! The crunch is great with no left over half popped and wasted kernels to dispose of like popcorn, and as mentioned above they are denser so you actually do not consume as much. I would like the salt flavour to be a bit stronger - but I love salt, so to most others I think it is just right. I have since bought these twice more in the shopping but have yet to locate the other flavour - which I REALLY want to try. 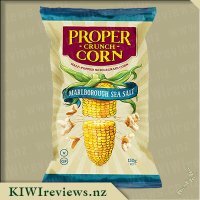 Proper Crunch Corn Marlborough Sea Salt - something I had seen and wanted to try and also get children to try, as I am trying to get children to open their eyes and try new things. I do have to admit that I can not read, as I thought it was popcorn. Imagine everybody&apos;s surprise when we opened the packet and it was not what we thought. Upon opening packet it did smell amazing, so was a great start as drew us in to try it even more. 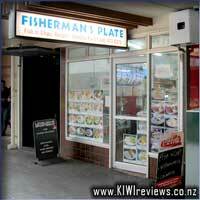 I had first try, pieces are full of flavour, and such a different texture, but not my cup of tea. Children all loved it and the packet was gone in a matter of seconds. So got A+ from them so will be buying more to add to their lunches. I, however, will not be stealing it from them, I prefer fully popped popcorn, this was too hard for my teeth. Love the fact that this is great for a lot of people with it being Gluten Free and Vegan Friendly. Being wholegrain also makes it good for everyone. 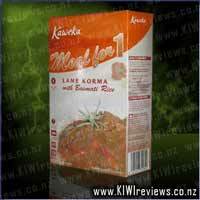 Packaging is very bright and stands out on shelves as I have now looked for it at supermarkets. Price is good as I know that for that price my children will eat it. This is something different I can recommend to my mother to have at her house for when the grandkids are there and because it is something she can eat with having to eat Gluten Free. It just goes to show that I need to pay more attention to reading the description instead of just looking at the pretty pictures. I had assumed that this was individual corn cobs and got a bit of surprise when I opened the packet and found they were actually half popped wholegrain corn. I actually had no idea that you could even do this. When I passed the packet to my daughters they both said &apos;ewww it looks ugly like broken pop corn&apos; and I guess when looking at it, it is not the most appetising sight. My husband even had a good look at it before taking a bite and then studied the packet. His comments were they are not that appealing and I can not really taste the salt. After that the three of them turned their noses up on having any more. I have to admit it has taken me a couple of days to finally finish the packet, so I am not sure if that is a good thing or a bad thing. I find a couple of handfuls and I am done and I do not need anymore. But I still keep coming back for more the following day so that does say something. I don&apos;t find there is a strong sea salt taste to it, instead it is more of a crunch taste. 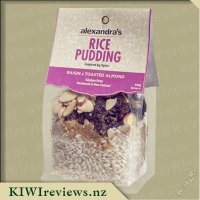 The packet is definitely eye appealing and the picture on the front screams out to you so I give them one hundred percent on visual impact but unfortunately I can not say the same for the items inside of the packet. Not something I can see myself purchasing again unfortunately. 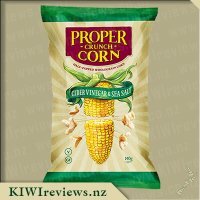 I&apos;ve tried Proper&apos;s Kumara Crisps and was really impressed with them so I was looking forward to trying their Marlborough Sea Salt Half Popped Wholemeal Corn. I had never had the pleasure of trying half popped corn and I had images of me spitting out the up-popped kernels but was fortunately, very pleasantly surprised! The bag is very nicely presented and you can see straightaway that it&apos;s Gluten Free and suitable for Vegans. When I opened the bag the bits of popcorn were small so I found myself taking a small handful. 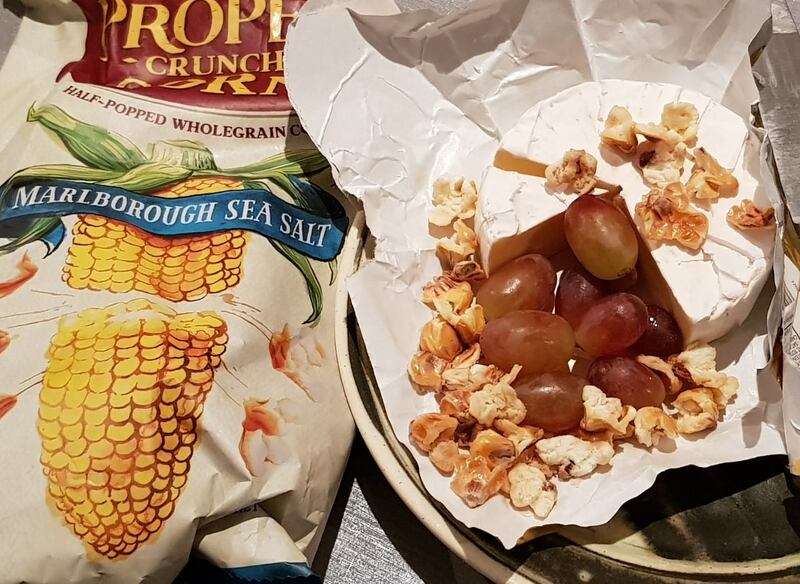 They were very crunchy and not as &apos;light&apos; as regular popcorn and I thought they would be a lot more filling.I could tell that it was wholegrain corn as it reminded me slightly of corn chips with regards to flavour and texture. I really liked that they were lightly salted and not overpowering. 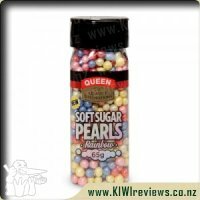 When I showed the pack to my husband he looked at the packet and saw that they were half popped and pulled a &apos;I&apos;m not going to like these&apos; face but grabbed a handful and munched away. He said that they really surprised him and that they were a lot nicer than the popcorn in the cinema and if he had the choice, would rather get a bucket of this popcorn. Again, he liked the fact that they weren&apos;t drenched in salt and had a good crunch. I did find that bits got stuck in my teeth but no more or no less than regular popcorn. Whilst we were munching away I noticed my youngest sneak in for a try. After disappearing with a handful, I noticed she kept sneaking back and she said it was really yummy and could she have some for school the next day (I said yes, providing there was any left!) Overall, I thought this was a nice, tasty change to the standard popcorn and a lot healthier with no Trans Fat. I&apos;ll definitely be smuggling this in my bag when I next go to the cinema!! I&apos;ve never had half-popped corn before. I didn&apos;t know such a food existed before seeing this product, in fact, having made popcorn before, I had no idea it was possible to half pop popcorn. It always seemed to be kernel or full popcorn (apparently you just need to boil the kernels for 45 minutes before you heat them as usual). Looking at the back of the packaging I was quite impressed with the claims that the product made; vegan, no MSG, gluten free, no trans fats, and GMO free. 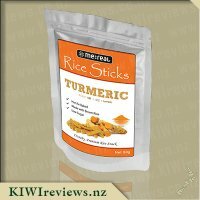 Combine that with the very simple and easy to understand ingredient list consisting of wholegrain corn, sunflower oil, and sea salt, this product feels incredibly natural and "healthy", compared to other competing brands. I was initially a little concerned when I saw 30% of the products weight was made up of fats, but over 27 of that 30 come from polyunstaurated and monosaturated fats (or is it monounsaturated? ), and these are supposedly the fats that reduce bad cholesterol. I&apos;m also a bit of a fiend when it comes to salt, so I was keen to see whether this was going to be a healthy alternative to appease my hunger when I&apos;m at the movies. chucking a few pieces in my mouth you can definitely tell it&apos;s a wholegrain product and it has a similar taste to certain brands of corn chips that are known to use wholegrain. The wholegrain flavour is quite strong, and while it isn&apos;t as much of a lingering aftertaste like the corn chips tend to have, it does overpower the flavour and zing of the sea salt. You get a hit of salty goodness when you first bite it it and it quickly subsides and disappears. Interestingly, I ended up with far less of the kernel shells stuck in my teeth compared to fully-popped popcorn. The half popped nature does make this a much denser food and has a similar feel and texture to that of pretzels. This density in the product does mean it fills you much better than ordinary popcorn as you can certainly feel it sitting in your stomach, and it also takes a bit more chewing to eat, that additional time also helps prevent overeating. Personally, as a man that loves adding large amounts of salt to his food, the flavour is not strong enough for my liking. It did improve as I got to the tail end of the pack, but that is obviously due to salts falling down the pack over time. Nothing stopping me from warming them up slightly and adding my own salt to the pack to tweak it to my tastes, but that does mean it&apos;s not a product I would purchase to eat as is. Popcorn is always such a great snack to have and generally a lot healthier than some alternatives! I tried this particular product with a group of equally popcorn loving ladies. We all agreed that the packaging is appealing in that it comes across as a more sophisticated product but the first question was why is it only half popped? We assume that is what makes it more crunchy? On that note we opened that pack and dived in. At this point, I must admit that there was mass hesitation due to everyone&apos;s proximity to the age of 40 (and over) and being unsure if our teeth were up to the challenge. Actually, one lady ended up declining trying it as she was that worried that she might damage her teeth! For the rest of us, we gave it a shot. 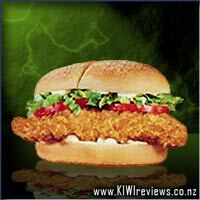 We agreed that it did have a nice flavour, not too salty or overpowering. It was also as advertised very crunchy. I have to admit for me, I did find it too crunchy and genuinely wondered if I was going to do damage to my teeth! One other lady did continue to eat it throughout the evening but admitted that it was more because it was there rather than loving it. Overall, yes it has a good crunch and it has a nice flavour but we found being half popped off-putting and that it was just a little too hard for our preference. Price wise it is certainly reasonable. All four of us were appreciative of the chance to try this, but might just leave this for those with stronger dental work! Popcorn is always a go to snack in our house, and a staple each week in Miss 5&apos;s lunchbox as not only does it taste great but it is also a whole lot healthier than other snack foods on the market such as chips and crackers which often market themselves as being healthy! I am a huge fan of the Proper brand and it&apos;s delicious chips so I was delighted to see them branching out and creating a range of popcorn to add to there already awesome products. 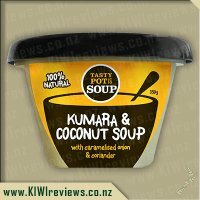 As per usual their packaging is stunning and it lists absolutely everything that you need to know about the product, I love that it is firstly made in New Zealand and secondly that it is a "100% natural real food" meaning it is gluten, vegan and dairy free friendly as well as having no nasty flavours, colours or additives in it. Looking at the image on the back of the package before opening it I was more intrigued by what the actual product would be like as it shows the 3 stages of popcorn being un-popped, half-popped and fully popped, in the past I have obviously eaten fully popped corn before, but I have also had corn kernels which have been cooked, flavoured and turned into a healthy snack food option I was very curious as to what half-popped would be like... there was only one way to find out. Opening up the package I was pleased with the amount of corn it contained and was impressed by the way it looked as it was exactly how you would picture half popped corn to look. Trying a few pieces I was happy with the texture and taste of the corn, it wasn&apos;t at all oily and had a lovely saltiness to it, Miss 5 was quick to notice the bag I was holding and her and her friend (also 5) were soon over for a sample of their own, they both stated it delicious and asked for more so were each given a small bowl full with a handful of M&M&apos;s and sprinkled tossed through as a treat, the sweet and salty combo worked perfectly together so much so that I ended up making a small bowlful up for myself. With half a bag of the popped corn still left I decided to use the remainder of the bag for the way I initially intended to as part of a slice. I melted together some sugar, honey and butter and then added in the rest of the popped corn and a cup of rice bubbles. After popping the mixture into a baking tray I placed it in the fridge to set, when set I cut it into pieces. 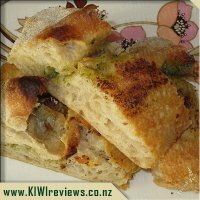 The result delicious, I loved the crunchiness and slight saltiness the popcorn added it was a nice change and texture to the usual slice with only rice bubbles in it, and the whole family loved it. 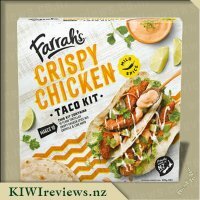 This was a definite hit in my house and I will be buying it again, I have been on the look out at my local supermarkets but have yet to come across it, so am hoping it will hit the shelves soon. As far as snacks are concerned, popcorn is one of the healthiest. I occasionally pop my own, but that is not always convenient, so it was good to find a ready-to-eat version which does not go soft as soon as it is opened. in fact, the contents were still crisp several days after opening, so that was a bonus indeed. Two of us shared half of the packet, then a few days later we shared the rest with another friend. She has false teeth so her first comment was "Great! It isn&apos;t too hard - I can chew it! More please!" We had the first half of the packet as a side dish - my friend had a glass of red wine and I had lager, and we made up the plate with camembert and grapes. We both loved the combination of the different textures and felt that the popcorn was equally delicious with both. She had been doubtful about whether she would like it when she tried her first piece, but by the third she was hooked. Both of us felt, however, that the corn is better eaten in combination with something else rather than on its own. The cheese and grapes both complemented it perfectly with the mixture of salt and sweet, soft and crunchy. When eaten on its own, the popcorn is very similar to lightly salted potato chips but once it is combined with other foods it really holds its own; unlike potato chips, which go soggy when paired with anything squishy like fruit, the popcorn retains its crispness. When we paid our elderly friend a visit, we took the rest of the popcorn along with some sesame crackers and a cheese spread. The idea was to serve the spread on the crackers and have the popcorn separately, but it did not quite work out like that. After she had tried a couple of pieces on their own first, we then ended up decorating the crackers with the spread topped with a couple of the popped kernels and eating them like that. The sesame flavour was subtle but we could taste it nonetheless because the popcorn itself was not too heavily salted. I like the idea of having a pack of these in the car. 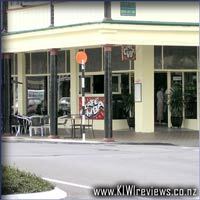 Often I get hungry when I am travelling but don&apos;t want to load up on junk food - especially when I am heading home for a proper meal when I arrive. Eating popcorn is not quite so bad as at least it is proper food, so it is not such a bad choice to make. Knowing it is going to stay fresh after opening is a bonus too. I have been a fan of Proper Crisps for a long time now, so it is good to welcome this new addition to the range. 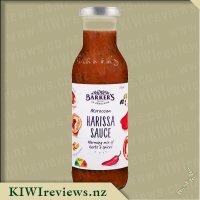 I look forward to trying other flavours as they come on to the market. This completely natural, hand-made Italian-style loaf is enriched with Olive Oil and filled with garlic, parsley and rosemary butter. To experience the delicious taste of this authentic bread, simply heat and eat.